1. His sons were said to be the ancestors of the twelves tribes of Israel. 2. This is the flag of what country? 3. In what movie is it repeatedly stressed that Paul's grandfather is very clean? 4. 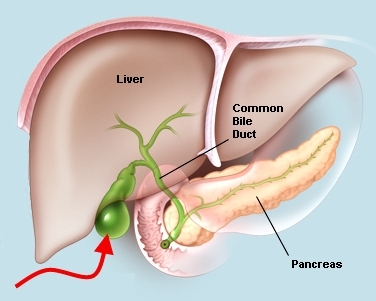 The green organ in this diagram is basically a storage tank that dumps its contents into the duodenum if fats show up that need to be digested. It's pretty handy, but you can live without it if you have too. 5. After accepting his Nobel Prize in Physics at age 37, this Italian scientist moved to the United States to escape fascism. He was a major figure in the construction of the first atomic reactor and in the Manhattan Project, and was apparently a really nice guy. Element 100 is named after him. A philosophy that emphasizes the uniqueness and isolation of the individual experience in a hostile or indifferent universe... and stresses freedom of choice and responsibility for the consequences of one's acts. 7. When this entity was created in 2002, it was considered the largest reorganization of the U.S. government in more than 50 years. 8. 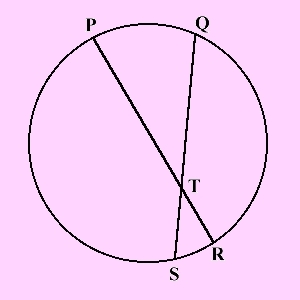 In this diagram, line PR and line QS are both _______________. 9. What 1945 novel by Evelyn Waugh is subtitled "The Sacred and Profane Memories of Captain Charles Ryder"? 10. Until the most recent generation of commercial aircraft, most passenger airliners were more than 50% ____________ by weight. Search your sacred and profane memories, then put the answers in the comments. 1. Oh, Lord. Jacob, I think. 3. Trick question? H....as in, Have no Idea. 3. Haven't seen it, whatever it is. 9. Beats me. Don't recognize that author. 2. Ireland (suspicious looking pole top though. 1. Jacob, dude had twelve sons, anyways. 4. I have the gall to suggest that it's a gall bladder, I think. 6. Existentialism, or some other nonsense. 7. Department of...Parks and Wildlife? 8. Chords, methinks, though I sued to know them as another name when I was a kid. 9. Brideshead Revisited is the only Evelyn Waugh novel I can name. I've no idea why, but I'm thinking Hatchet. 1 So many J-names. I know it's not Jesus, but is it Jacob? I think he's the one that tricked his father-in-law into giving him a lot of sheep, but had to marry the ugly older daughter years before he could marry the beautiful younger one. 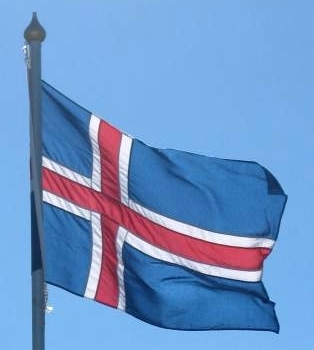 2 Iceland. Took me a minute to dredge up the I-nordic. 4 I was going to go for spleen, but the trend gives me gall bladder. 5 Enrico Fermi? Was he the Manhattan Project scientist who had learned English from Shakespearean plays and used to accost streetcar conductors with "Prithee good gentleman!" and the like. Or was that guy Hungarian? 6 I don't know many philosophy things, but I've heard of Existentialism. 7 This has to have something to do with post-2001 paranoia ... so I guess it's the Department of Homeland Security. 8 Chords: took me a moment but now this is the answer that anchors the puzzle. 10 One wants to say "wings" but the wings are quite light. I also want to say "fuel" but I'm pretty sure the question refers to empty weight. I had a big argument for "wiring," and A is for avionics, but normal people don't use that word. Oh, Aluminum. That was a kind of sad tour of my mind. Wow, no answer posted yet. OK, I'll bite for the first time in I don't know when. At least half of these are guesses. I'll let you guess which half. 7. The Department of Homeland Security. Still don't like that name. Smacks of National Socialism somehow.